This novel tells the story of the Haydock Lodge scandal, and of Charles Mott, the extraordinary man who was largely to blame for it. What happened at Haydock Lodge shocked Victorian society and changed forever the way mentally ill people were treated. A common name, but an uncommon story. This novel tells the stories of five generations of the Smith family of Lancashire. It moves in time from the witchcraft trials of the 17th century through the Civil War, the coming of the canals and the creeping tide of industrialisation, to the General Strike of 1926 and its aftermath. It follows the family's lives in Ormskirk, Lathorn, Dalton, Windle, Parr and Haydock, from yeoman farmers to miners. Its common thread is the story of the impact of great events on the lives of ordinary people. On the 7th of June in 1878, over two hundred men and boys were killed when there was a massive explosion in a Lancashire coal mine. This novel tells the story of their lives and deaths and of the impact of the diaster on a small pit village. These ordinary lives, uncelebrated and even unremembered, remind us of what we owe to the colliers who went down into the earth to win the coal. Allan Smith, who was born and brought up in Haydock in Lancashire, has converted his historical research into family and local history into gripping fiction. The author of successful Geography texts for children, Allan Smith has turned to historical fiction, based on fact, since his retirement. His first narrative was Ellen Strange, the story of a servant girl who was murdered on the Rossendale Moors in the 18th Century, and its resonance for a modern woman living nearby. This is now out of print (although Allan has a few copies). Allan's desire is to write about the lives and daily realities of ordinary working people in the area he knows best. His next opportunity came when he read Ian Winstanley's Weep Mother Weep (Landy Publishing 1989). This gave him the basis for Fatal Spark (2007). 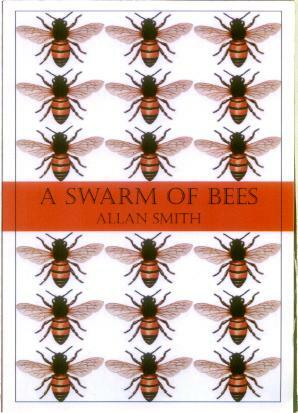 A Swarm of Bees (2008) grew out of five years of research into his own family history. "Even with a very common name like Smith it is possible to unearth a great deal about one's ancestors and the kinds of lives they live". Using his imagination in the form of a novel enables Allan to link these lives to some of the great events of history going on at the same time. 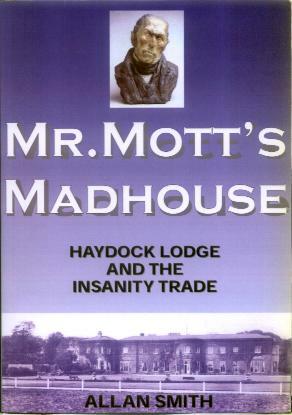 Allan's latest book, Mr Mott's Madhouse, links Wales, where Allan now lives, to his native Lancashire. It tells the story the Reverend Evan Richards, vicar of Llanwnda and Llanfaglan, who, driven mad by the death of his wife, was taken to a new Lancashire asylum that promised humane modern treatment. As a child, Allan had walked past this asylum everyday on his way to school. 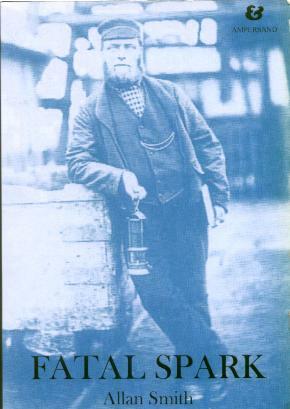 His interest in it revived when he read Andrew Robert's England's Poor Law Commissioners and the Trade in Pauper Lunacy 1834-1847 (1990) and David Hirst's "A ticklish sort of affair: Charles Mott, Haydock Lodge and the economics of asylumdom" in History of Psychiatry (2005).